Workplace wellness is about organisations and individuals taking a proactive approach to ensuring the health and wellbeing of their workforce. 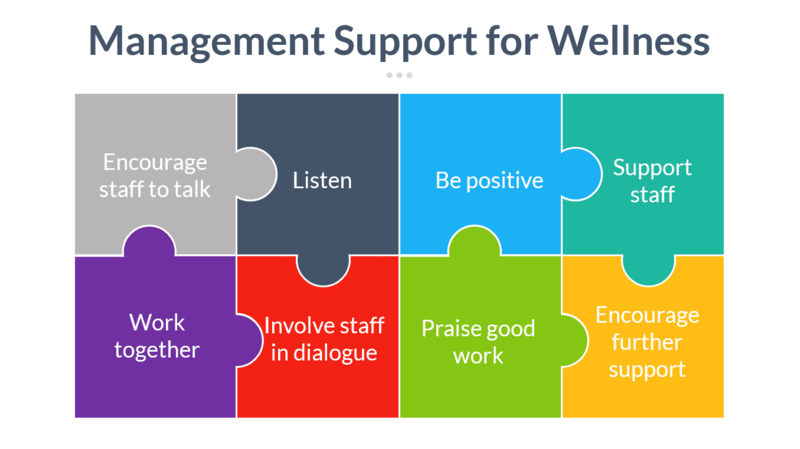 By focusing on the wellness of employees, organisations can help prevent issues with mental and physical health, reducing stress levels and absenteeism and ultimately improving performance. Raising awareness will help encourage people to take responsibility for their own health and wellbeing. 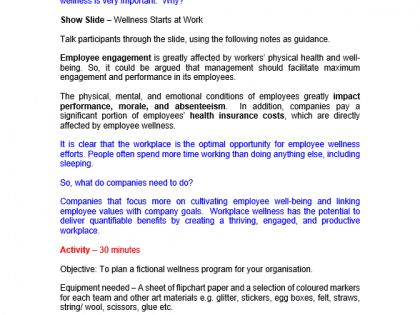 Therefore, these training course materials are aimed at anyone that needs to develop a heightened awareness of workplace wellness for both the organisation and themselves. Wellness is an active process through which people become aware of, and make choices toward, a more successful existence. These training course materials are aimed at helping participants tap into this approach, raising their awareness of wellness issues and encouraging improvement in the mental and physical health of themselves and those around them. Why is running this Wellness training course a good idea? Understand the importance of focusing on their health and wellbeing at work in order to reduce health issues and the implications they have on the working environment. Adapt their approach and think rationally and positively about issues. Apply basic techniques to improving their mental and physical wellbeing. Appreciate the importance of maintaining a healthy work-life balance. Understand how being focused on wellness is beneficial for both the individual and the organisation. Ultimately, these training course materials will help employees to focus on the positive improvements they can make to their daily life in order to increase their health and wellness. And when budgets are tight but you still need results, Trainer Bubble courses are great value for money. Train a whole team or even a whole company for much less than the cost of sending a single participant on a standard training course. Wellness is the sum of all of the positive steps you take in order to lead a healthier life. It depends on your physical, social, and mental state. 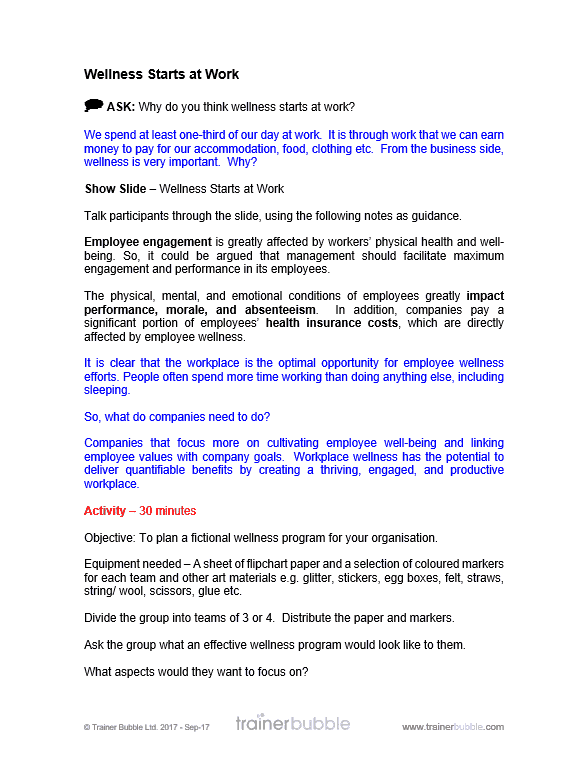 Introduction and Objectives – Setting the scene for the training course while establishing what is meant be workplace wellness and the expectations participants have for the training. The History of Wellness – Establishing the roots of wellness and the interesting path it took to being accepted in the workplace. 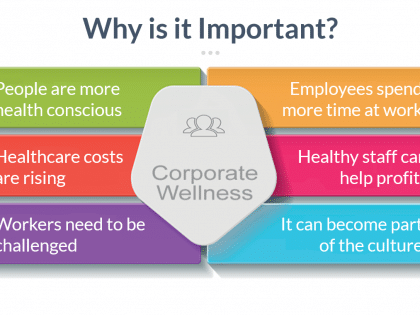 Why Corporate Wellness is So Important Today – Appreciating the role of wellness in the workplace and the positive benefits it can have for both the individual and the organisation. 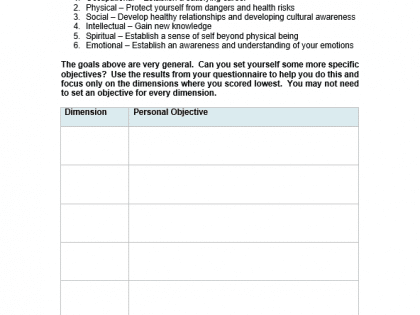 Thought Awareness – Identifying the impact of negative thoughts and how these can be re-purposed by having the self-awareness to adapt them into realistic and positive thoughts. Includes examples, practice and review. 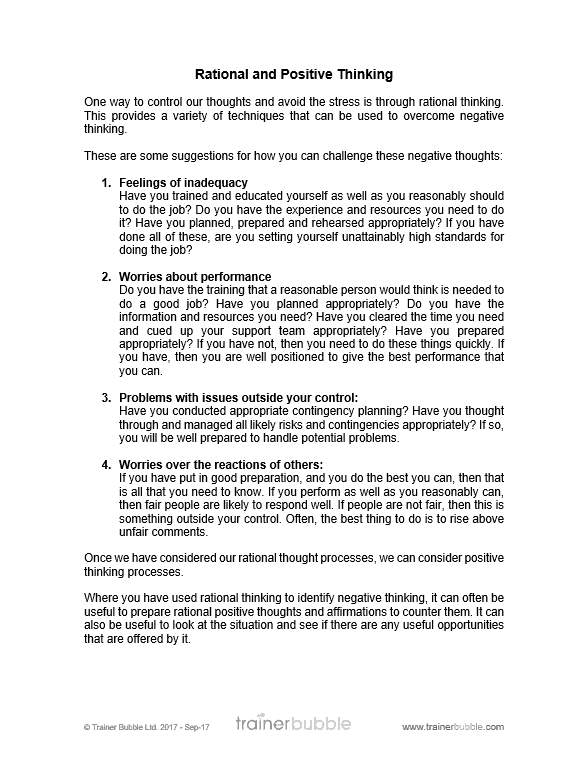 Rational and Positive Thinking – Using personal examples to refocus thinking and adapt situations that limit behaviour by taking a more rational and positive approach. 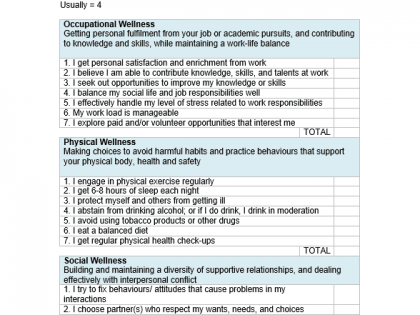 The Six Dimensions of Wellness – Exploring the theory behind improvement of the six key areas of wellness. Includes a questionnaire to establish current wellness in these dimensions and highlighting where development opportunities might be. 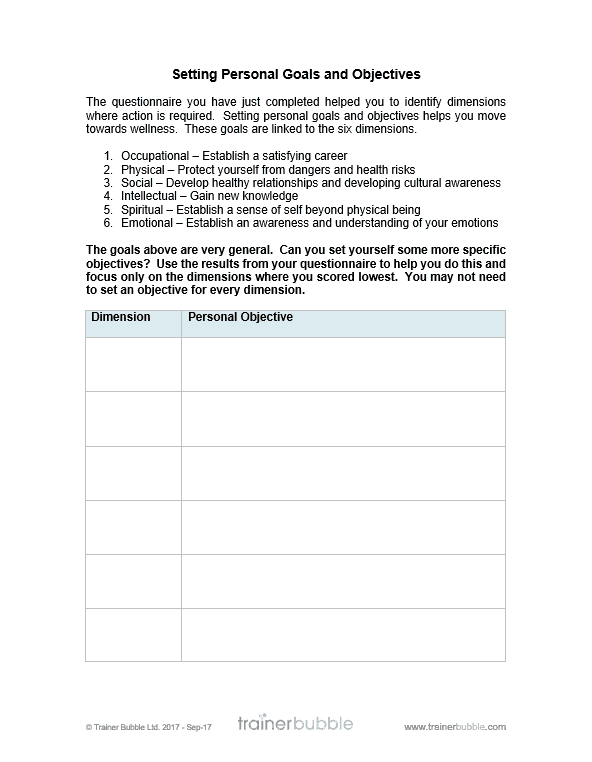 Setting Personal Goals and Objectives – Using the six dimensions of wellness (occupational, physical, social, intellectual, spiritual and emotional) to help develop personal goals. and improve wellness. 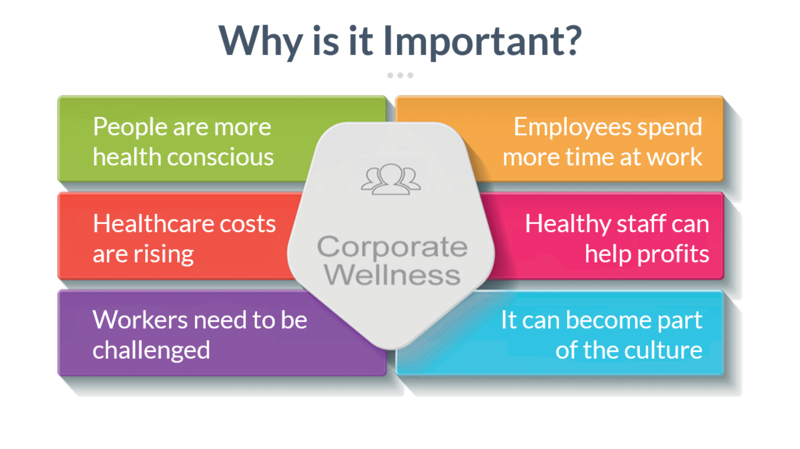 Wellness Starts at Work – Establishing why wellness starts at work and then progressing to develop a fictional wellness program for the organisation. Creating Work-Life Balance – Exploring how to create a good work-life balance and how changing circumstances can influence priorities. 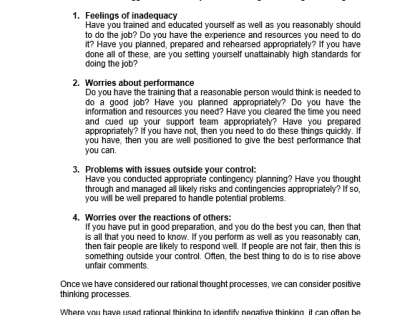 Using ‘What If?’ questions to realise factors that might be affected by changing priorities. 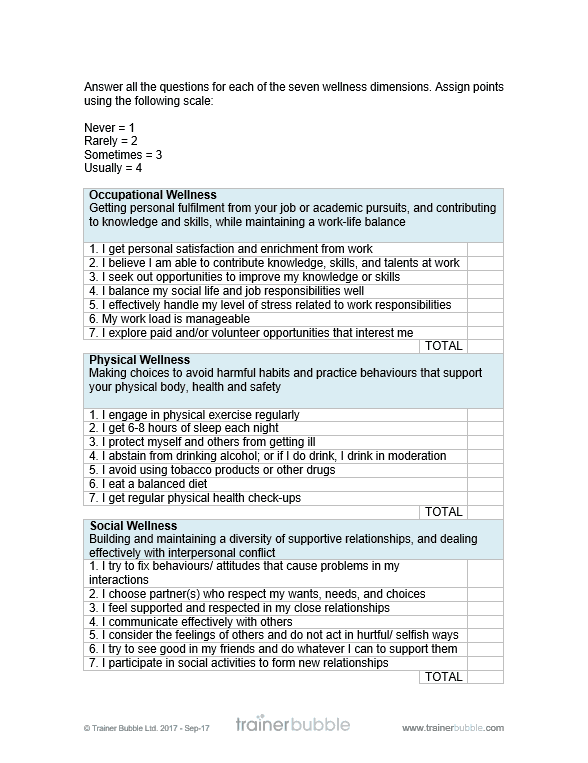 Wellness Action Plans – Understanding and developing a wellness action plan to actively help support wellness, reflect on personal circumstances and take practical steps to help address wellness triggers. Case Studies – A review of several case studies to help apply learning to real-life scenarios and discuss different approaches. 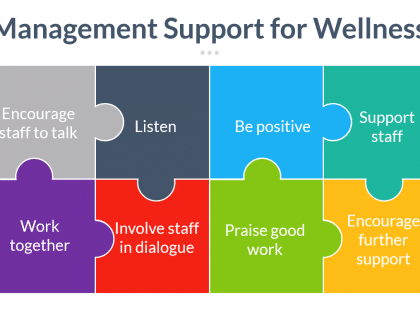 Management Support for Wellness – Identifying the support that managers could and should provide to employees to benefit wellness in the workplace. 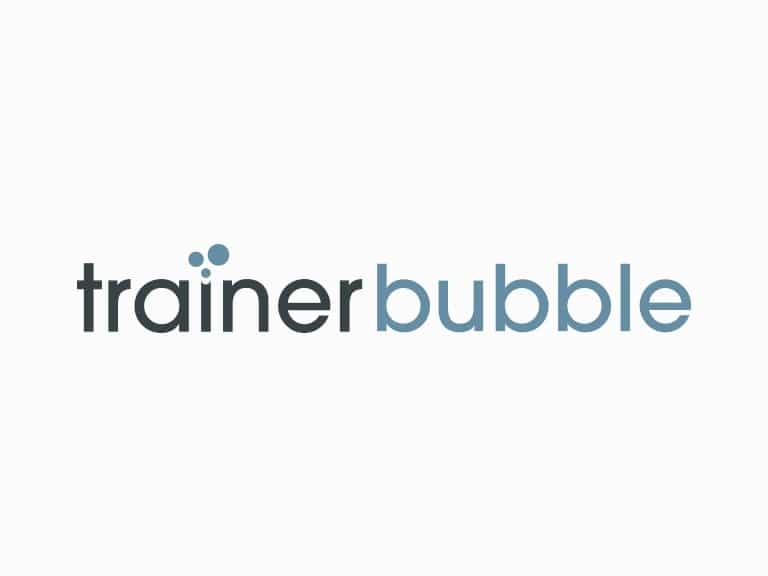 As with all Trainer Bubble training course materials, this course is highly interactive and includes activities, discussions and exercises throughout to both engage the learners and help embed the learning.